Apollo 11 astronaut cover (Credits: collectspace.com). Being an astronaut is a risky business, especially so in the pioneer days of Mercury through Apollo. With all the safety precautions space agencies take, there’s still no guarantee that an astronaut will return from any given mission. Apollo 13 cover from Fred Haise’s personal collection (Credits: Moonpans.com). So what’s a responsible astronaut to do? The early astronauts decided to use a little creativity to provide for their families encase the worst were to occur. No one would provide life insurance for an astronaut at anything short of an astronomical price. 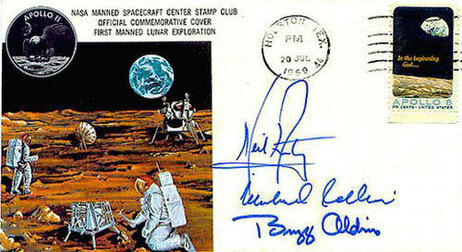 But early astronauts had an unending supply of a good most everyone wanted: autographs. During their pre-launch quarantine, Apollo 11 astronauts Neil Armstrong, Buzz Aldrin, and Michael Collins signed hundreds of envelopes and gave them to a friend. The friend was instructed to mail the envelopes to the crew’s families on key dates – their launch and Moon landing in particular. Such envelopes are known as “covers.” Use of covers as insurance seems to have been practiced throughout the Apollo missions and may have begun as early as NASA’s Mercury program. 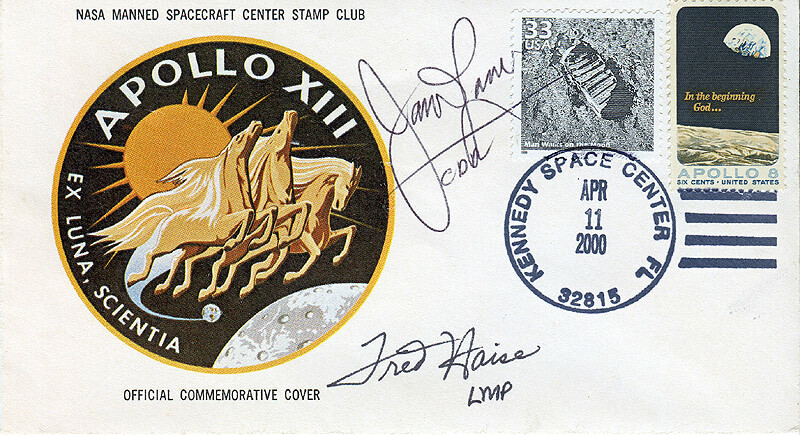 The cost of an Apollo 11 autograph today can run up to $30,000. 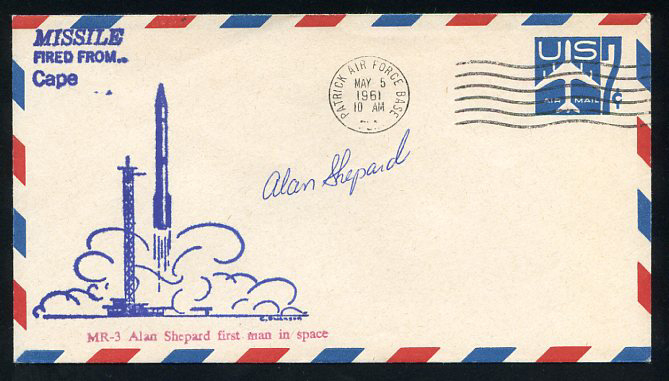 Cover from Alan Shepard’s Mercury Redstone 3 flight (Credits: Moonpans.com).